You are currently browsing the tag archive for the ‘Samuel de Champlain’ tag. Although I’m a newbie, this being only my second run on Huron, I suspect this view dominates the experience of crossing Huron, possibly Superior also, which I’ve not traversed. 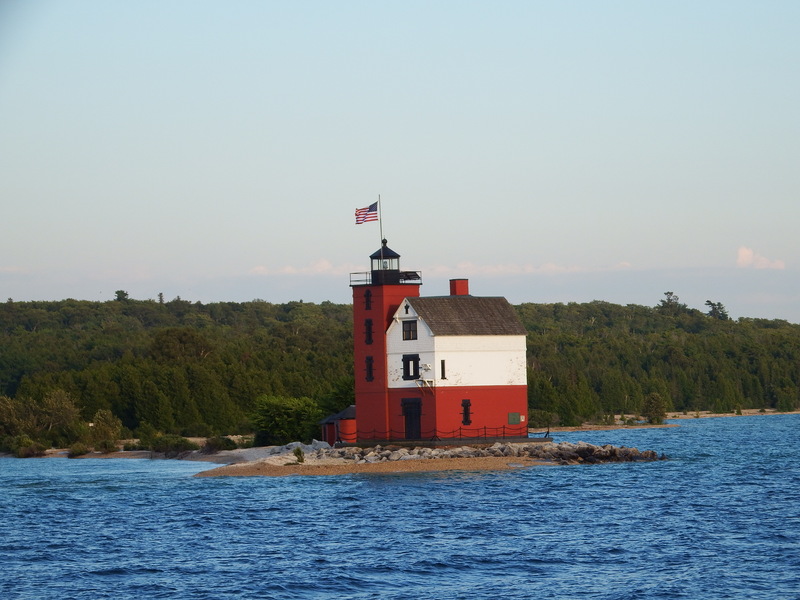 Huron is the inland sea with the longest shoreline, surrounded by sparse population. 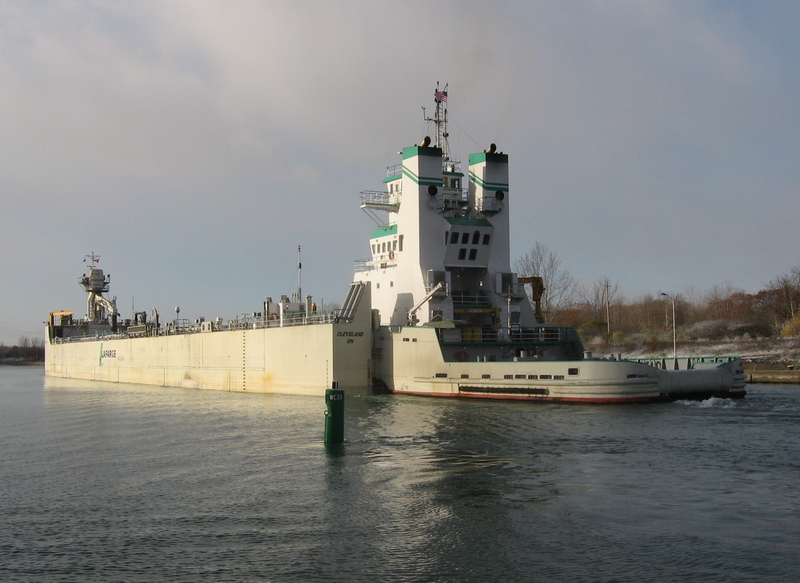 Sarnia, the largest city on Huron has about 70,000; Port Huron, 30,000; and Alpena, 10,000. 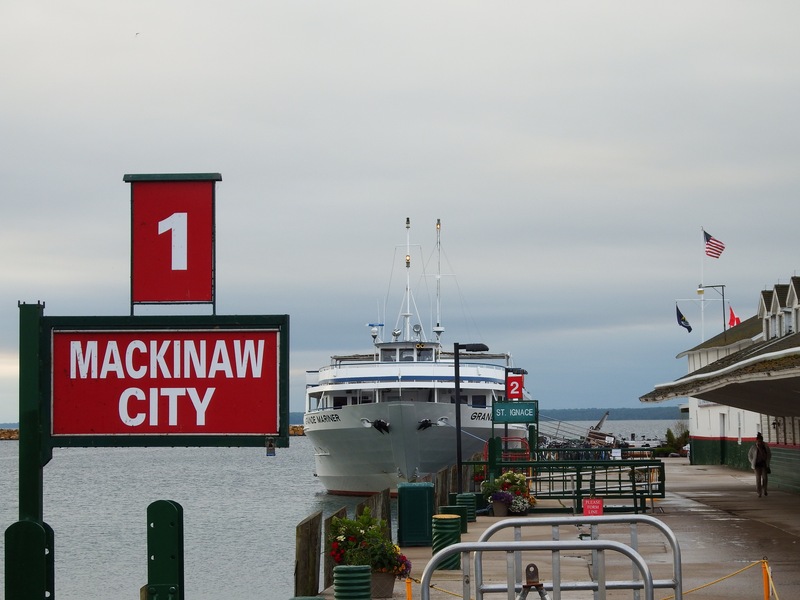 Of course, Bay City–population 35,000– lies there also, but at more than 50 miles into Saginaw Bay, it’s a city you go to as a destination, which I need to do soon. I’m eager to visit all the towns along this lake. 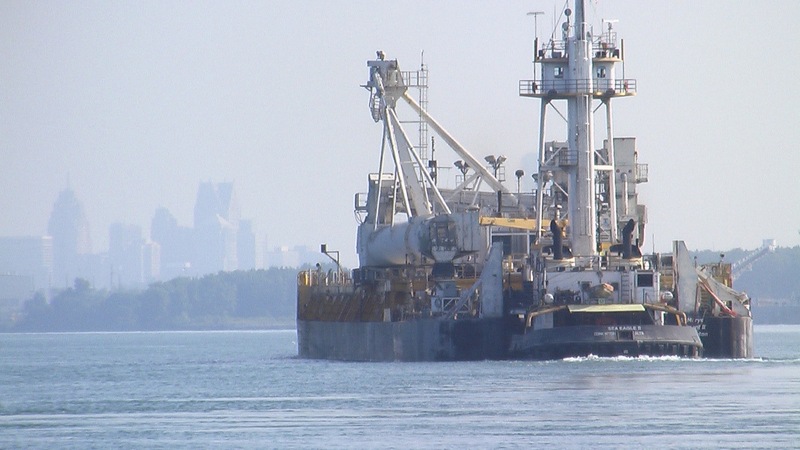 Off to starboard, it’s Thunder Bay, China-built, Seawaymax. Olive L. Moore. 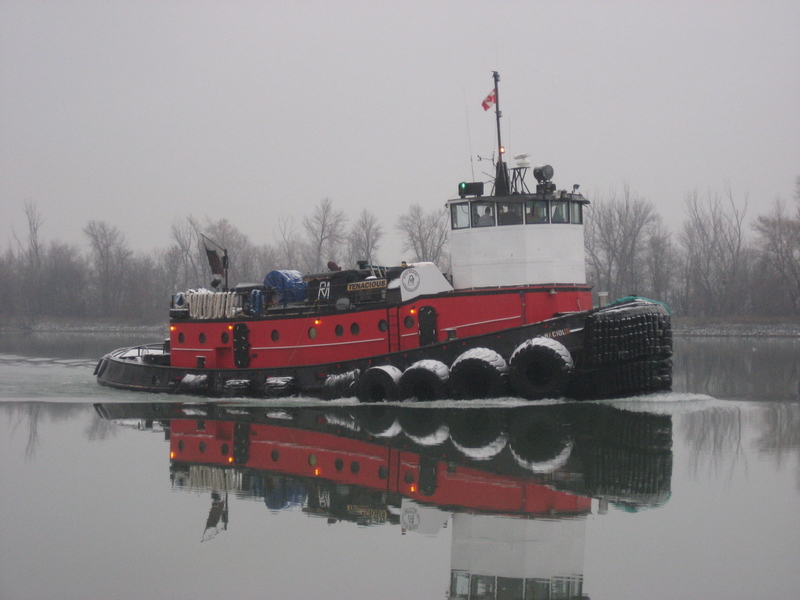 If you look at no other link than this one in this post, check this one for the evolution of this tug since the hull was first laid down in Manitowoc in 1928, designed low to fit under the bridges in Chicago. 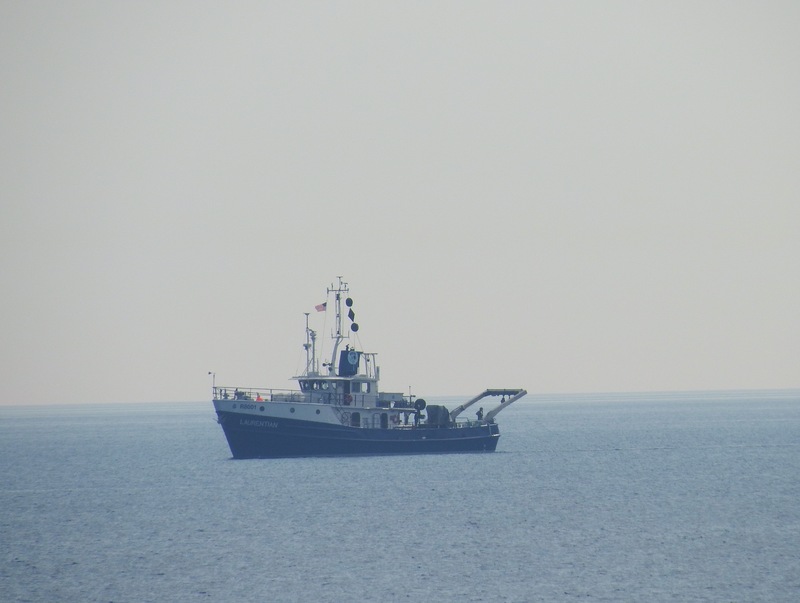 Arcticus ,Laurentian, a USGS vessel launched in 2014, was working some research project off our starboard. 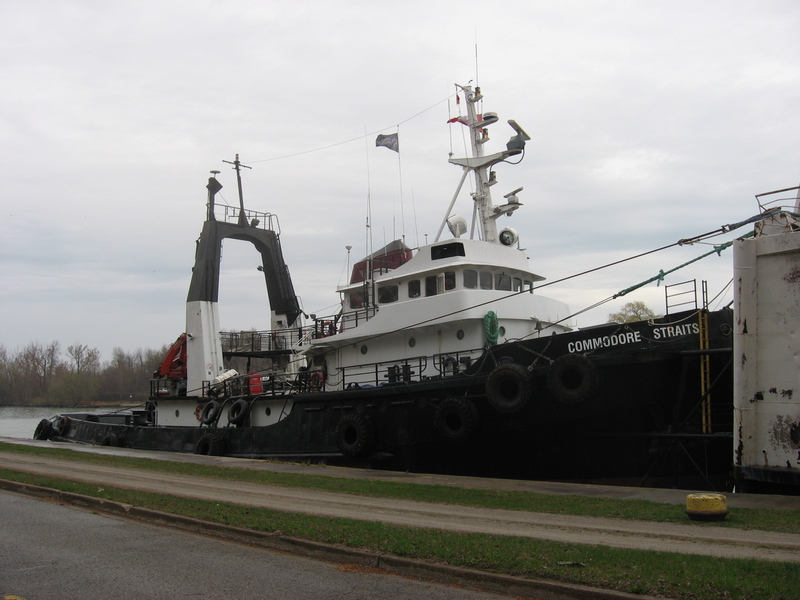 Here’s a post I did in 2014 on another USGS vessel at its christening in Oswego. 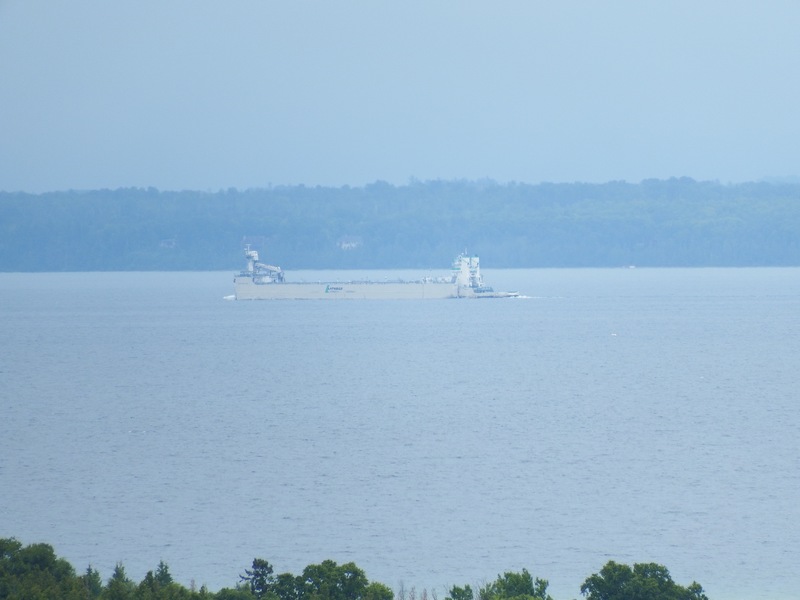 Near here, we passed tug Michigan pushing barge Great Lakes, which I last saw in Montreal last fall. 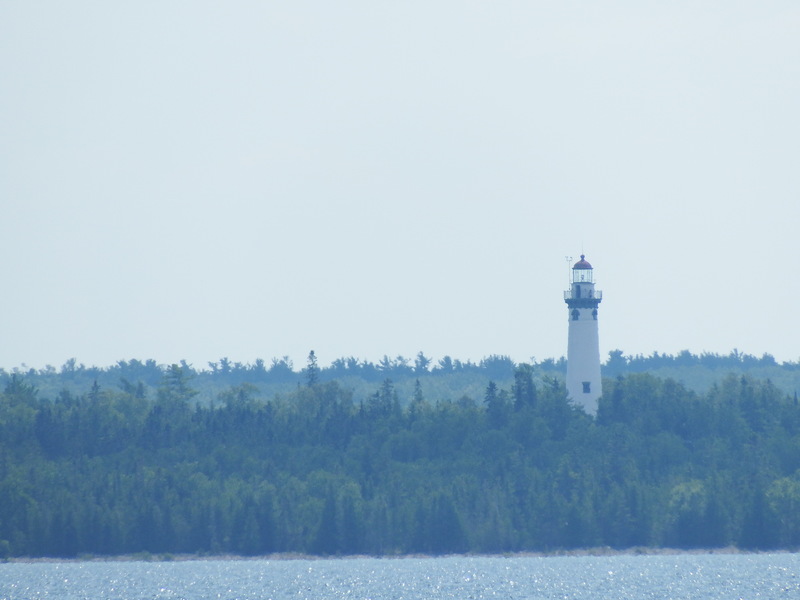 does the appearance of Kristen D, the ferry between Cheboygan and another Bois Blanc Island–more places to visit some day. Kristen D dates from the late 1980s. Samuel D. Champlain I could pick out anywhere by its profile, but John C. Munson I had to check on my device. SDC appeared on this blog several times before, with a closeup here, and in a previous iteration here. 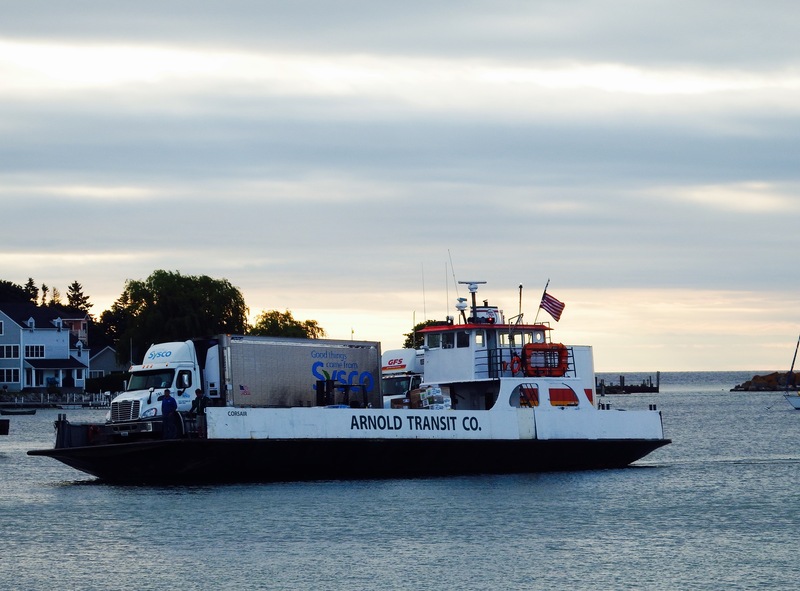 Last year I caught SDC southbound in roughly the same end of Lake Huron. 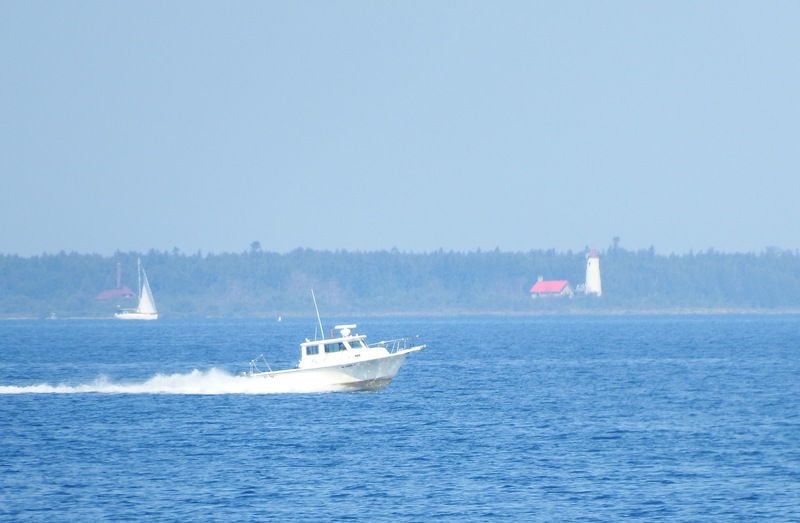 And less than a mile from the dock on Mackinac Island, we pass Round Island Light. Writing this post has clarified one section of where my next road trip will take me. All photos and sentiments, errors, etc. by Will Van Dorp. 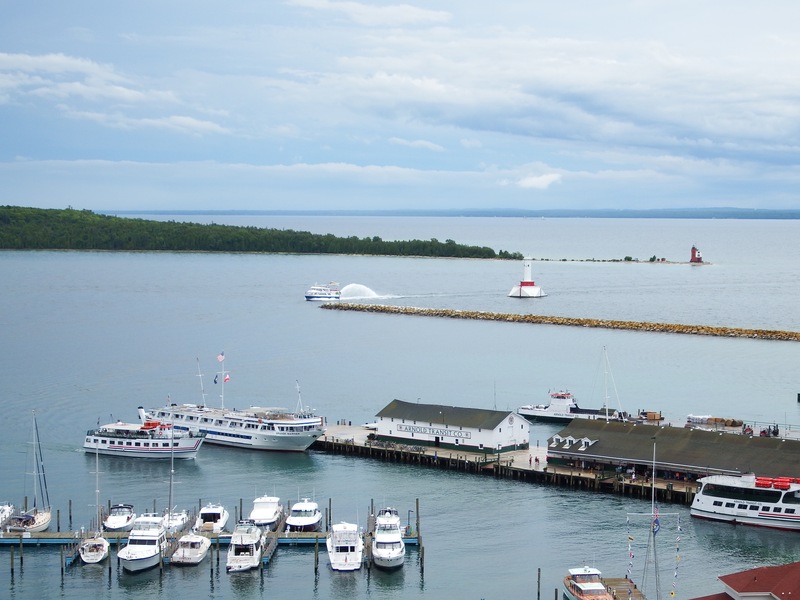 Related: Check out these 10 facts about the Great Lakes. 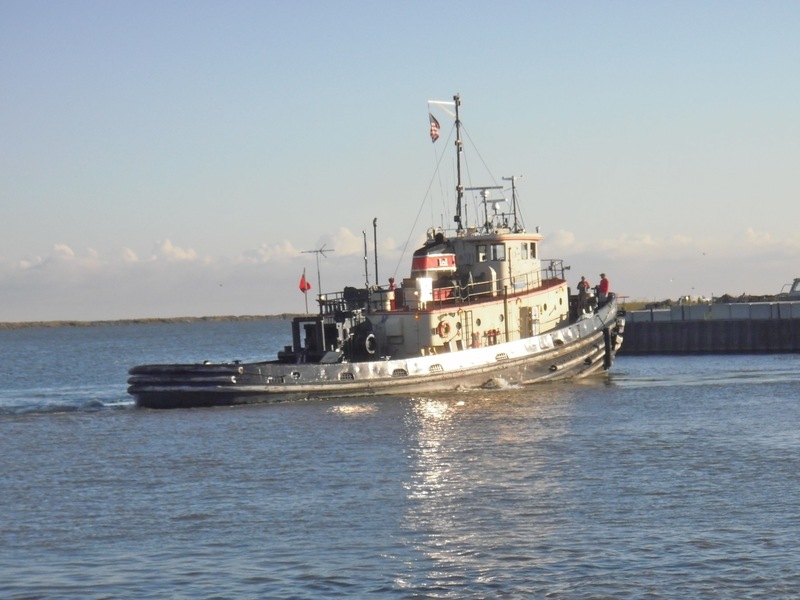 Unrelated: The 2017 NYC tugboat race is scheduled for Sunday Sept. 3.
and waters teemed with people. From the wall, I saw US-built Samuel de Champlain pass southbound. 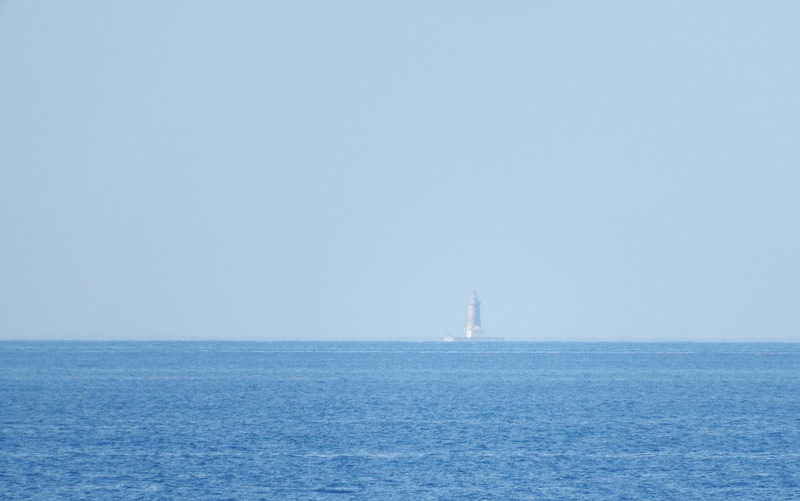 Schooner Inland Seas was anchored over by the Round Island light. Teamster, trickster, tugster . . got it all in this post. This series is used to catch up on items started. 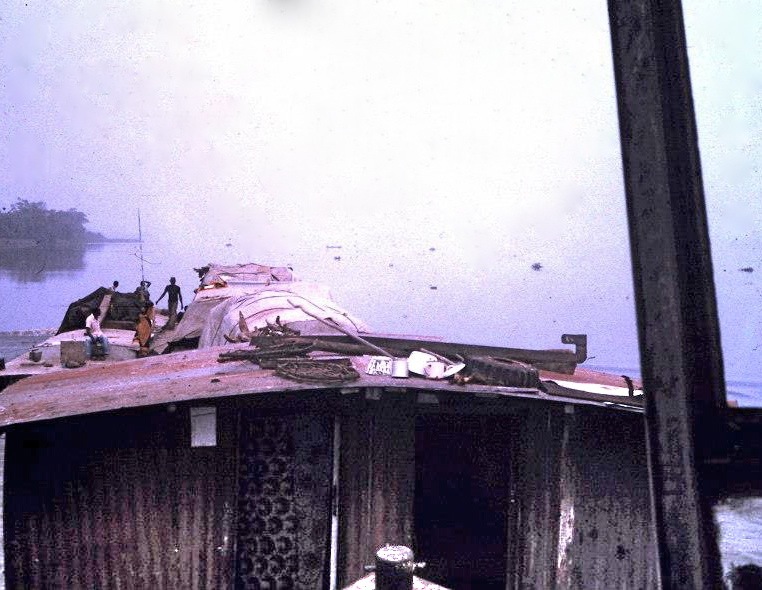 Gregory Farino took this foto from the wheelhouse of a tugboat on the Congo River around 1980. He does not recall the name, as he was just catching a ride. 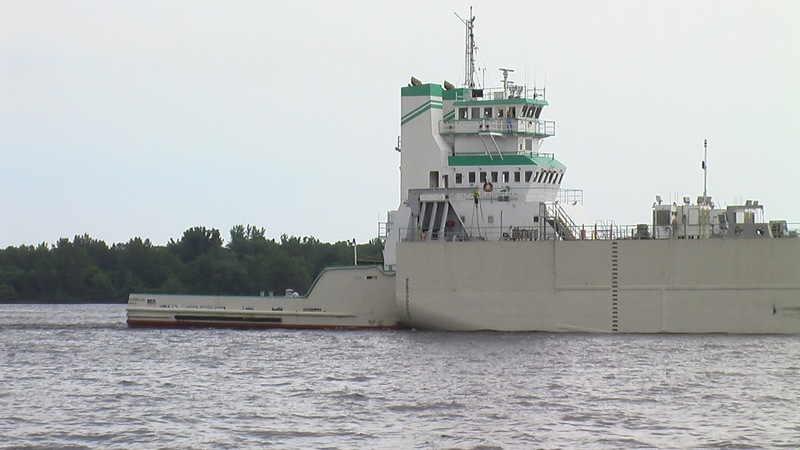 My question is this: would the minimal detail of the stem bitt and shape of the bow surrounding it give the impression that this may be an “American” style tug serving the end of its life on an African river. The problem with that theory is that most of the Congo River is separated from the sea by waterfalls. 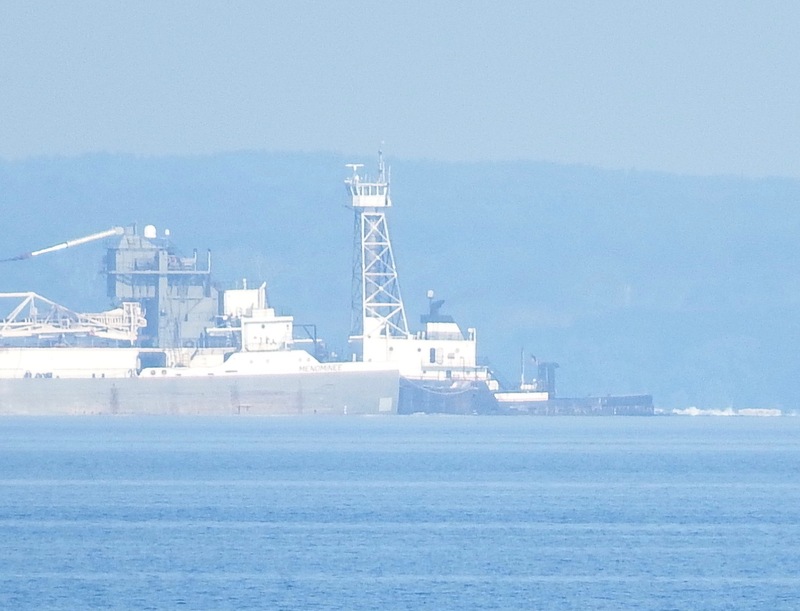 Although I heard stories when I lived there and there are and have been shipyards above the falls going back to the time of Joseph Conrad’s “Heart of Darkness,” I have no hard information that any vessels were taken around the falls by train and reassembled for use here. Anyone help? 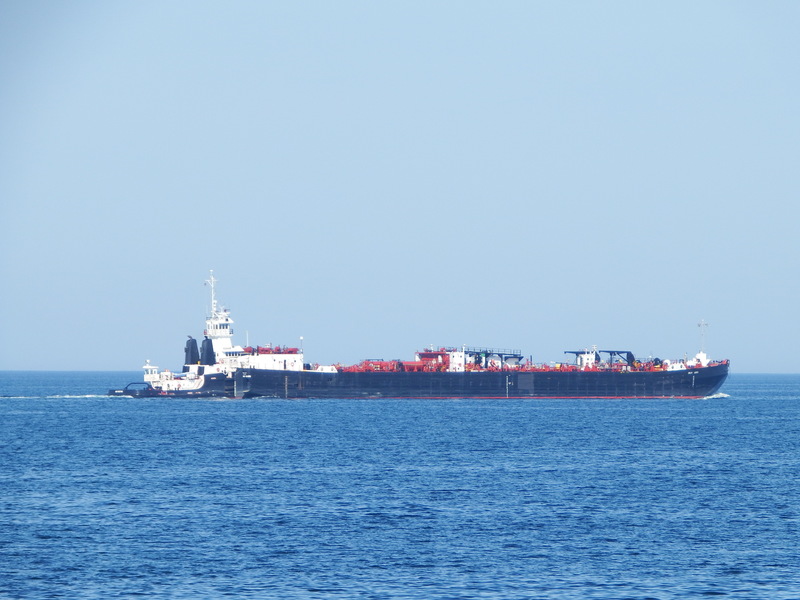 Recognize the vessel below? The foto was taken by Jan van der Doe. Today it’s called Samuel de Champlain and appeared in this blog recently here. 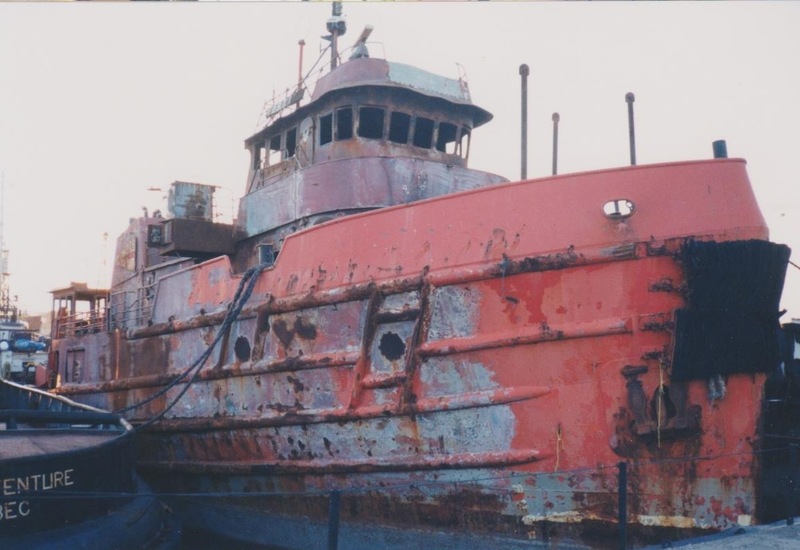 Although it was built in Texas in 1976 as Musketeer Fury, it operated for a while as well as an Italian tug called Vortice, shown here post-fire. 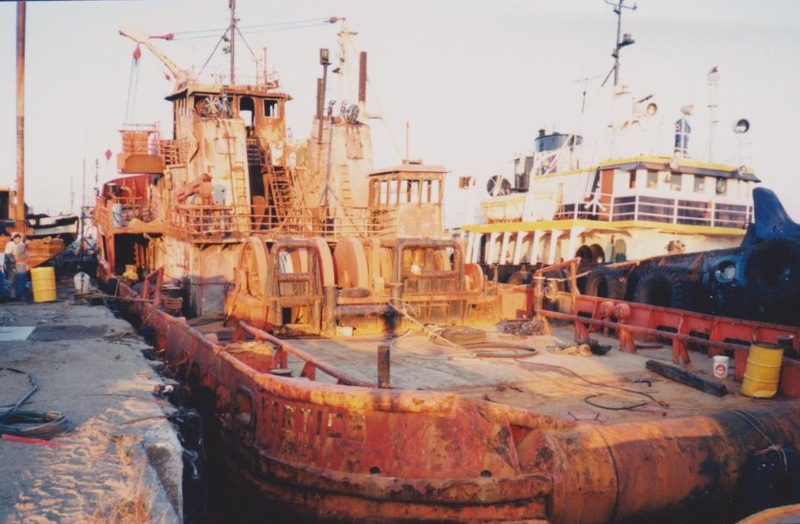 Here’s what frequent contributor Jan van der Doe wrote a few weeks ago: “While plying the waters near Trieste in 1993, she suffered a devastating fire to her upper engine room and deckhouse. 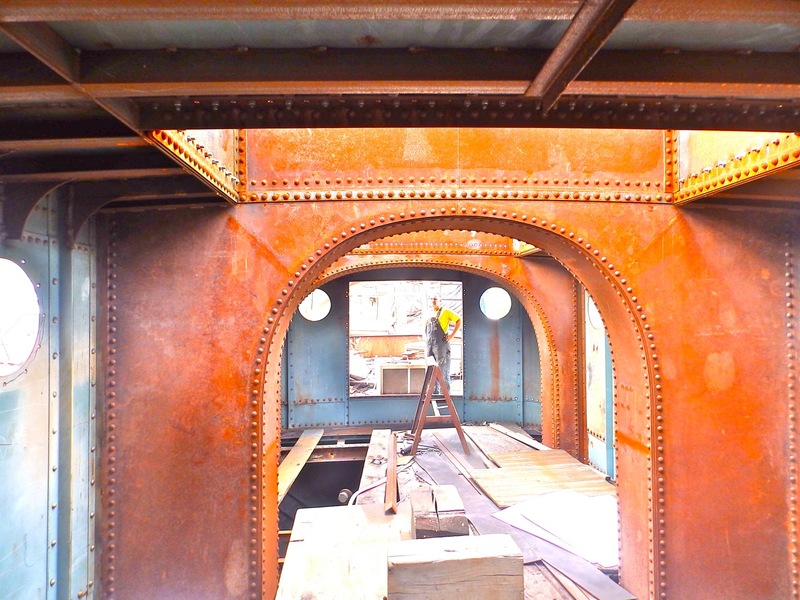 The accommodations were completely destroyed and much of the steel deck and superstructure warped from the heat. 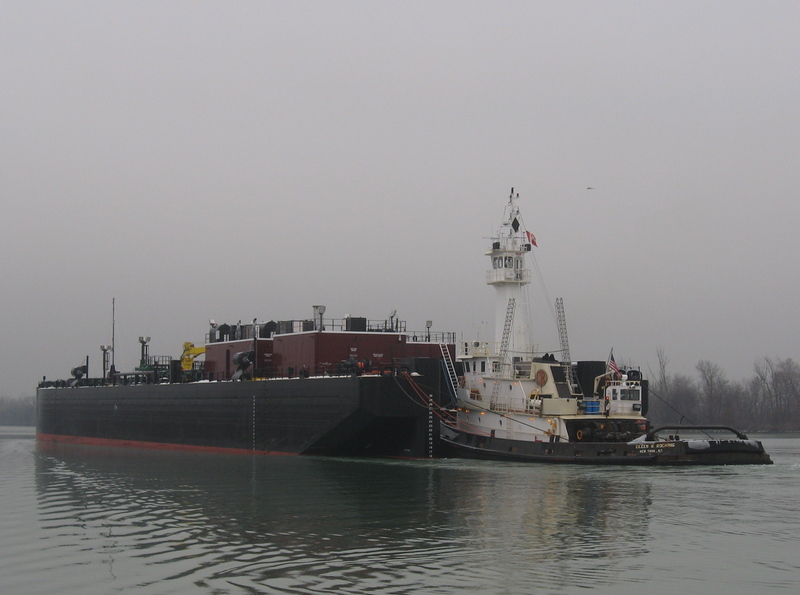 The vessel was laid up in Italy until McKeil Marine Ltd. purchased Vortice on spec in the mid-’90s and towed her to Hamilton, Ontario. 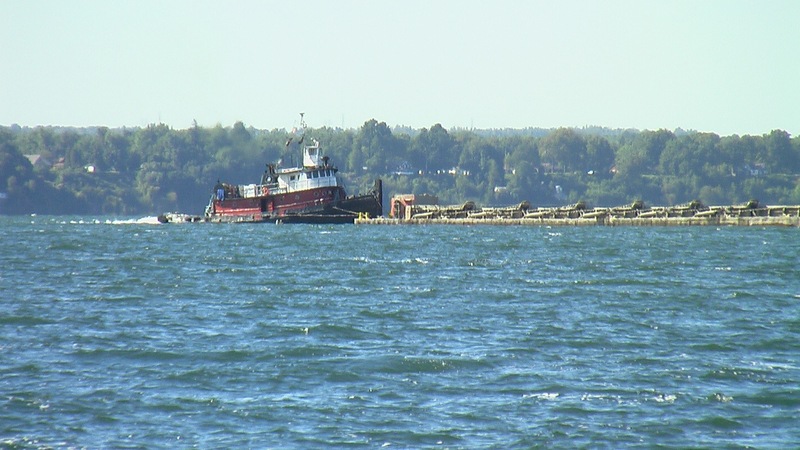 The engines were not damaged, probably the reason the tug came to Canada. I [was] onboard a few times during her lay up in Hamilton.” Here’s a link and foto suggesting the fire happened on the Atlantic off the Azores. Excuse my parenthetical insertions, but Capt. 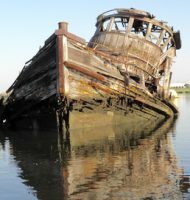 Thalassic wrote this of Sachem, featured here recently: Sachem was built (1902, Pusey & Jones, hull #306. 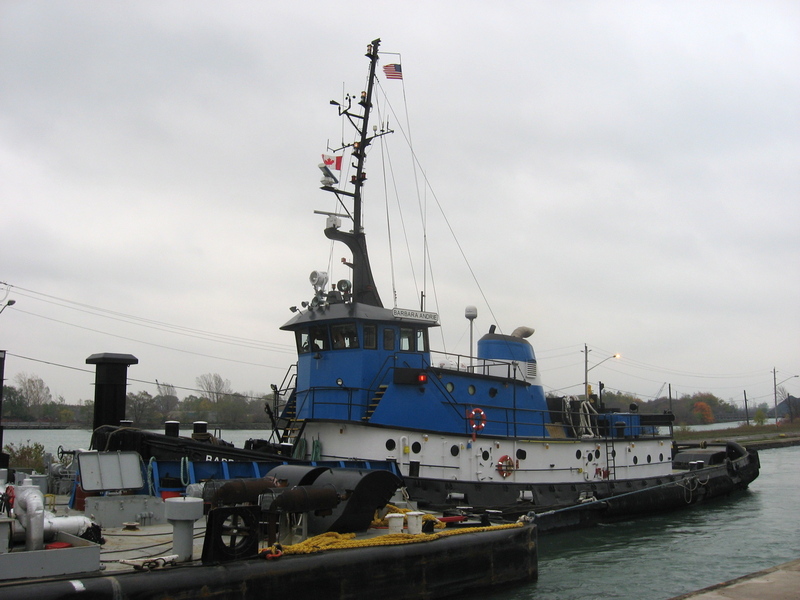 By the way Cangarda was built in the same yard in 1901 as hull #302) for J. Roberts Maxwell. 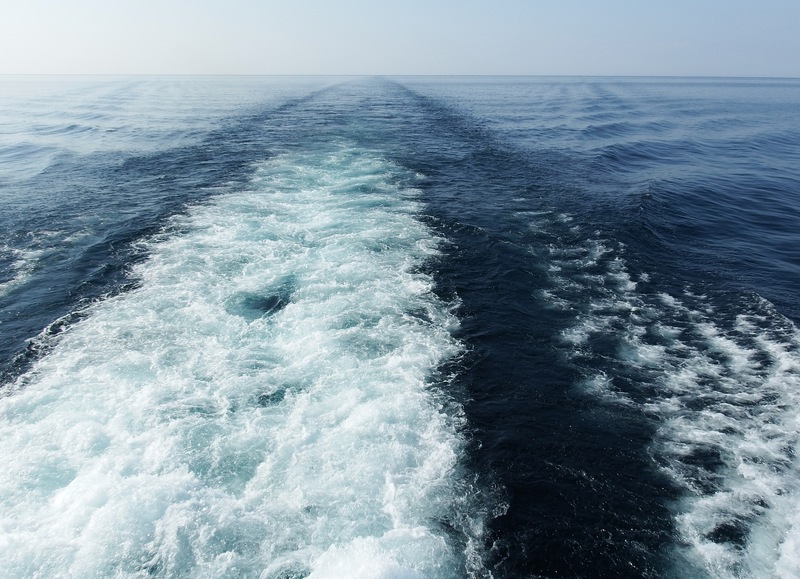 It had elegant lines and significantly a very large main cabin for entertaining. Power was provided by a Fairbanks 8 cylinder slow speed diesel. During WW 2 the yacht was passed to the Navy and I believe engaged in submarine patrols and training in the Caribbean. 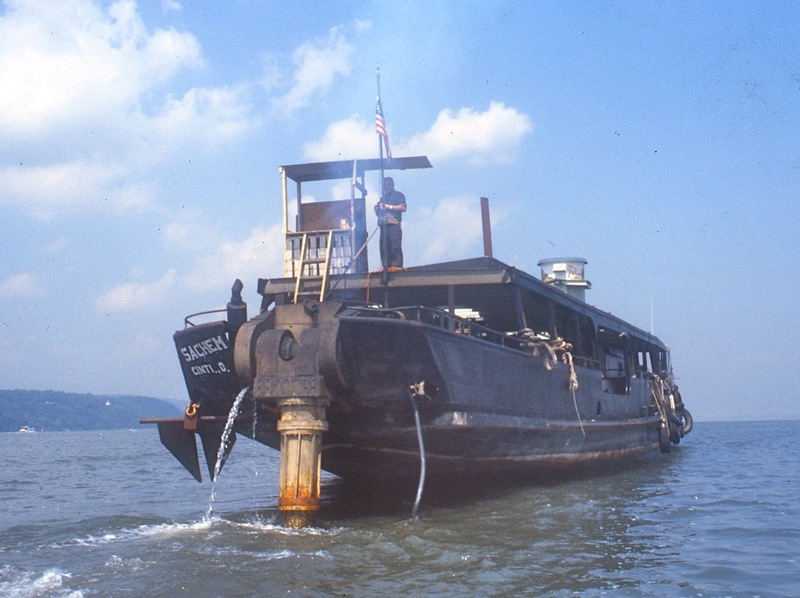 After the war it was sold to the Circle line and probably had the most elegant lines in a fleet of converted landing craft although I am sure the direct drive diesel was terrifically difficult to maneuver with in NY harbor. 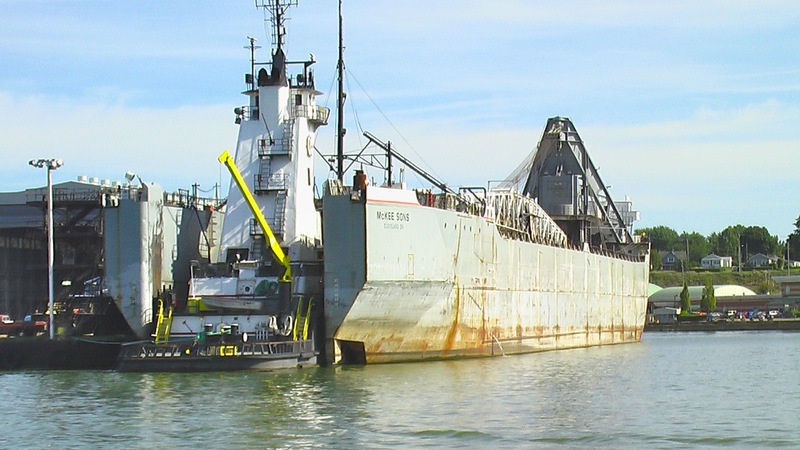 Eventually it was retired and sold as junk to an organization known as the Hudson River Maritime Academy which was based in West New York NJ. The organization was less about maritime or learning than it was about drinking and it went bust. 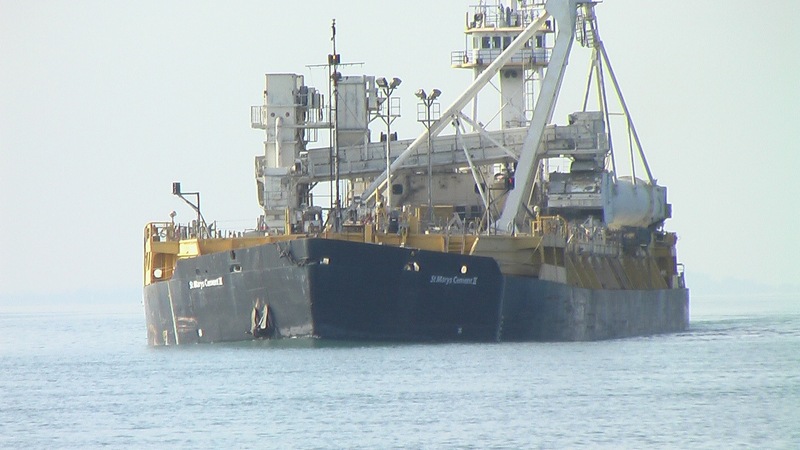 The owner of the pier sold the vessel to Butch Miller from Cincinnati. (Butch owned a company founded by his father that had developed those augers which you see on all those utility trucks.) 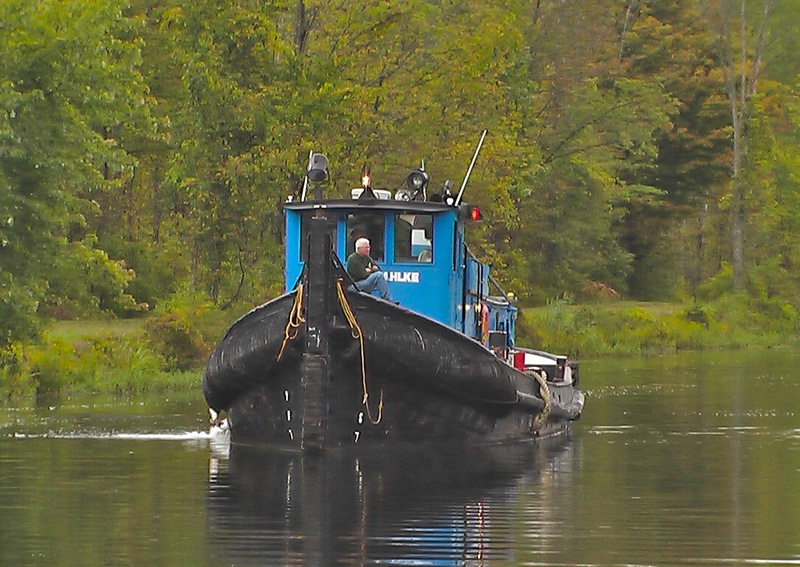 Butch would drive a van from Ohio to NJ to renovate and get the vessel running. 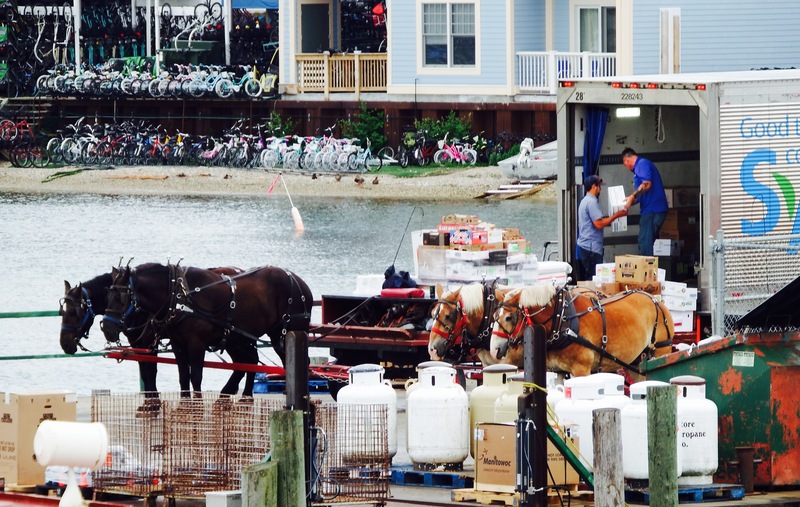 This proved almost impossible and Butch was convinced that he had to get the vessel closer to home. 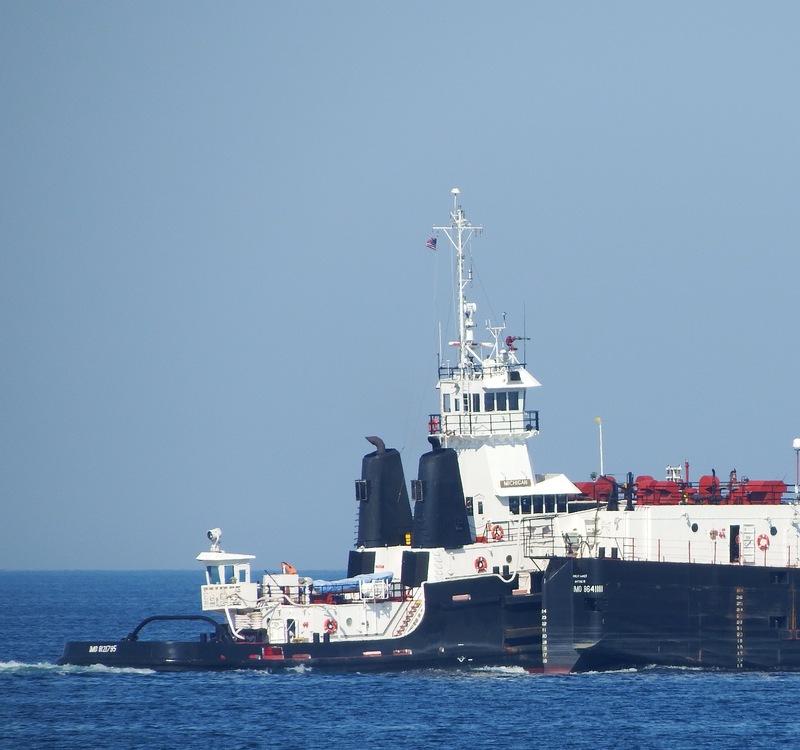 He purchased a Murray Tregurtha unit and plopped it on the rear deck. 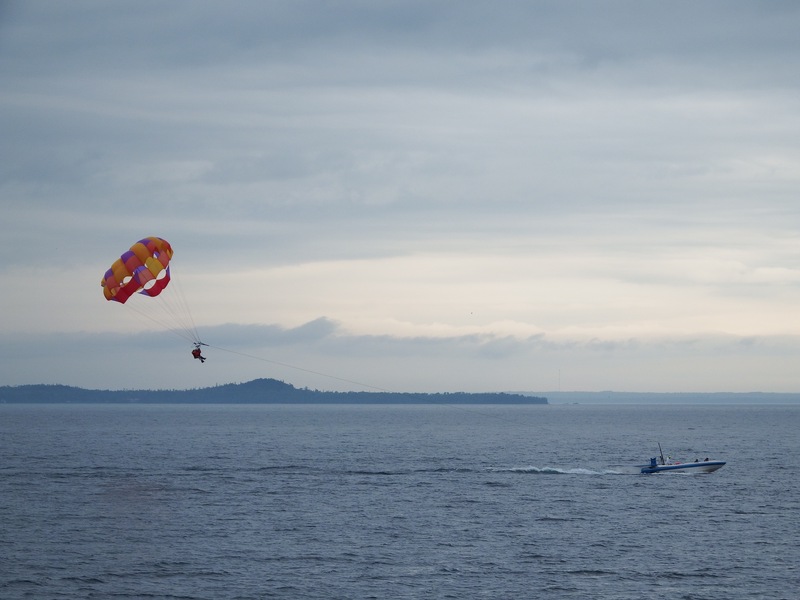 His first plan was to sail up the New England coast, down the Saint Lawrence. 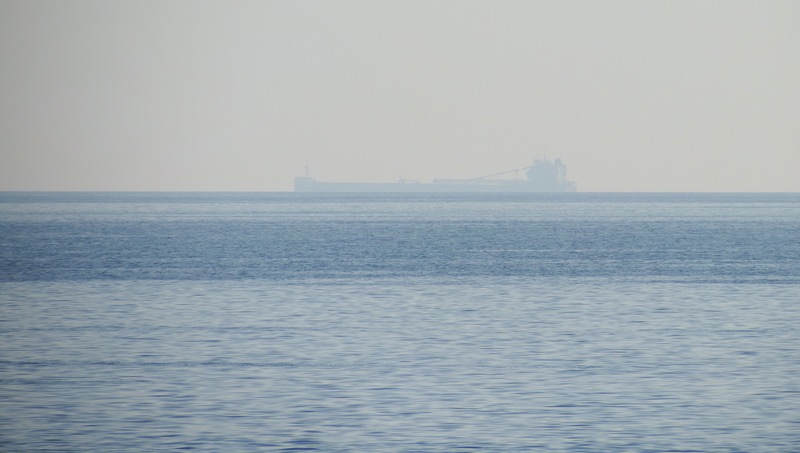 He sailed out of NY harbor with a complete compliment of road maps and promptly ran aground in the fog. 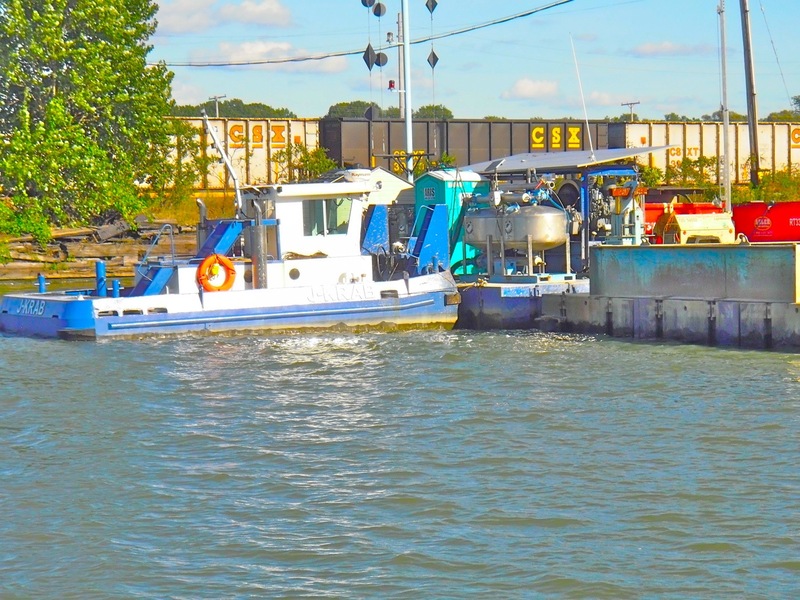 He was towed back into NY harbor and was put up in Newtown Creek for another year. Eventually he headed north up the Hudson. The helm was a lawn chair on the roof and steering was done with a broomstick tied to the controls on the MT unit below. 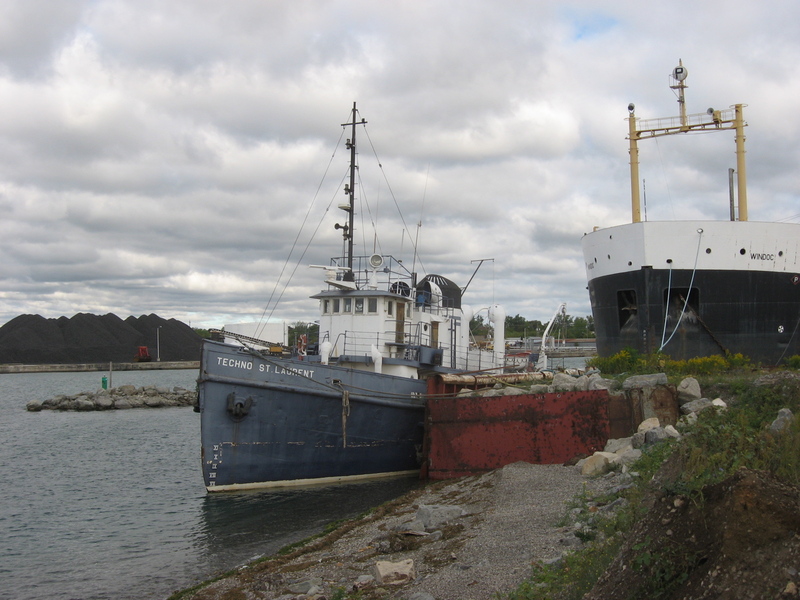 Amazingly Butch got upstate and through the canal all the way to Buffalo (I often repeat his description of the canal as “floating through a corn field”) and then through Erie, Huron (where he was detained by Customs for wandering over the border line near Windsor/Detroit). He went all the way down Michigan to Chicago, through the Chicago River to the Mississippi, down the Mississippi to Cairo and then up the Ohio to the Cincinnati area. It was truly an adventure of a life time and it is incredible he made it. 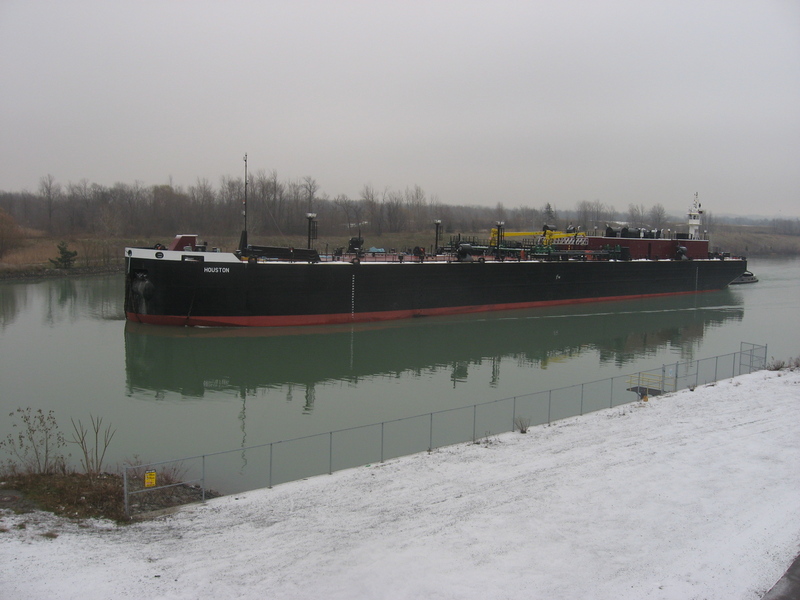 As far a I know the vessel sits in a backwater on the Kentucky side of the Ohio near Cincinnati. 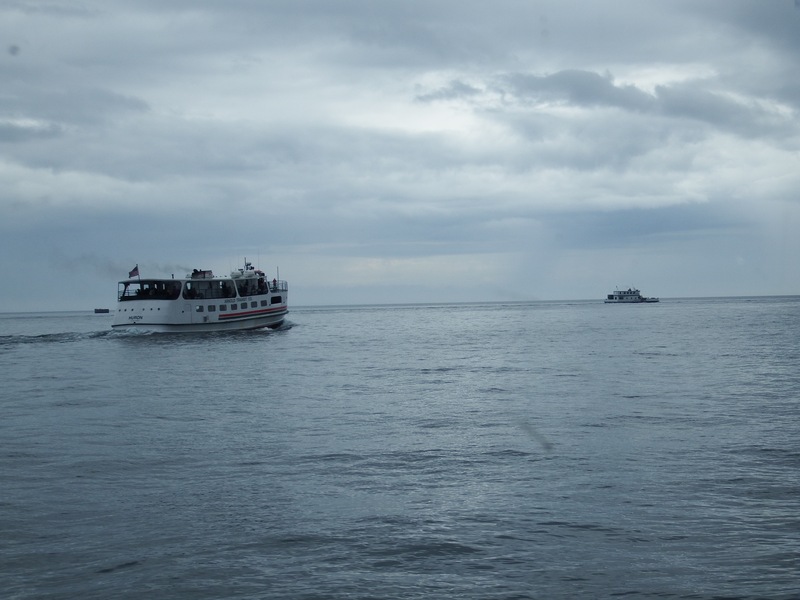 It is sad retirement for an elegant vessel but it was an amazing adventure. 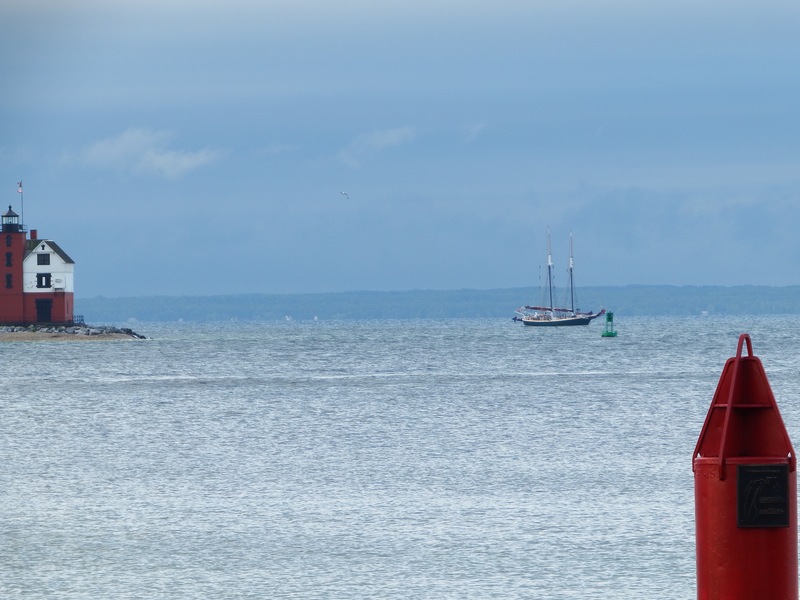 It is fun and satisfying to see that every once in a while the eccentrics with old boats do live out a dream. ” In this Halloween season, it may just be part of the entertainment there . . . given this story. 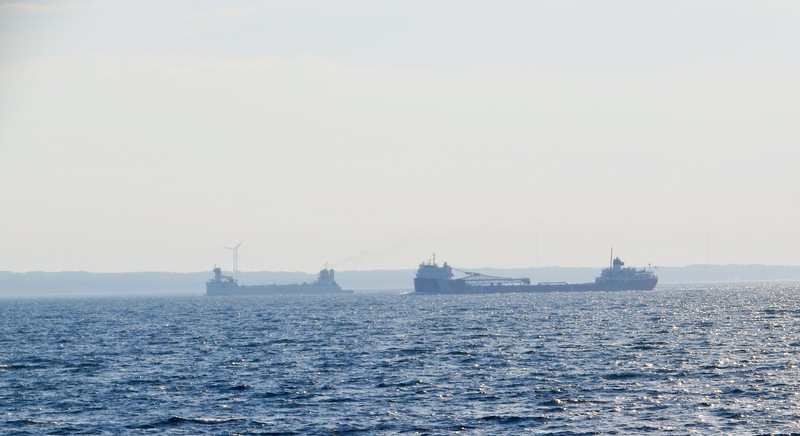 The foto is by Seth Tane, showing Sachem in that appears to be waters off Yonkers. Let’s sign off with this vessel . . . Bertha. See the foto on the left margin. Surely this can’t be lost!! Thans to Gregory, Jan, and Seth for use of these fotos. I look forward to any and all followup to these fotos. She passed Demolen–older sister of Ellen McAllister– several times, once on August 26, 2013. She took the next three fotos on August 28, 2013. Mike Donlon is 53′ and christened in Philly in 1999. 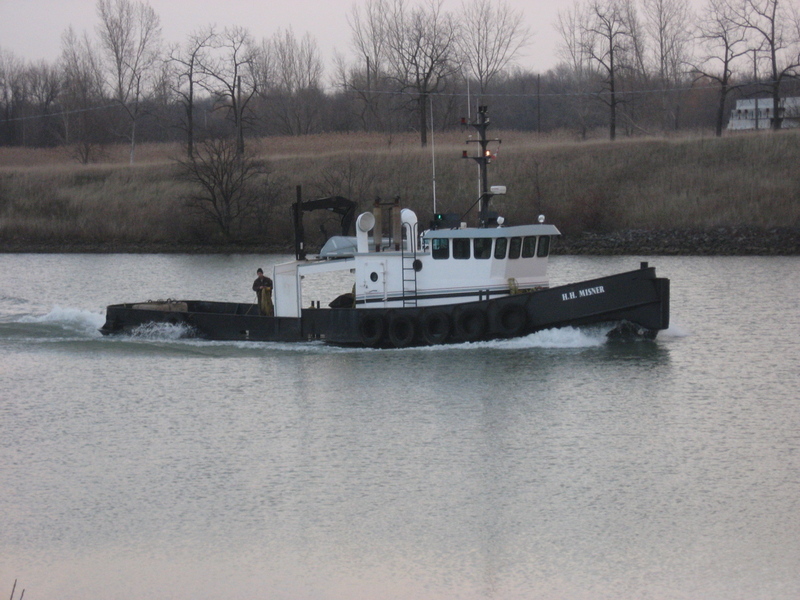 J-Krab, 25′ built in 2010. 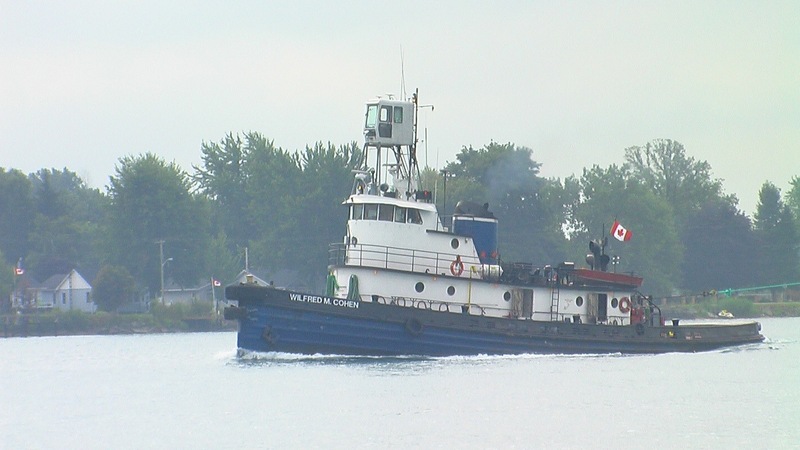 Wilfred M. Cohen is a 1948 Newport News-built railroad tug now flying the Canadian flag. 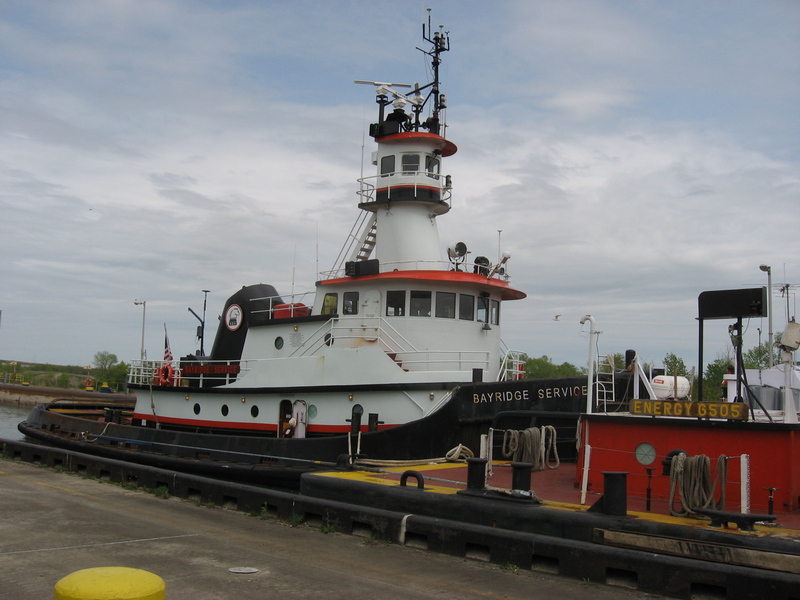 Click here to see lots of fotos of her on tugboathunter. 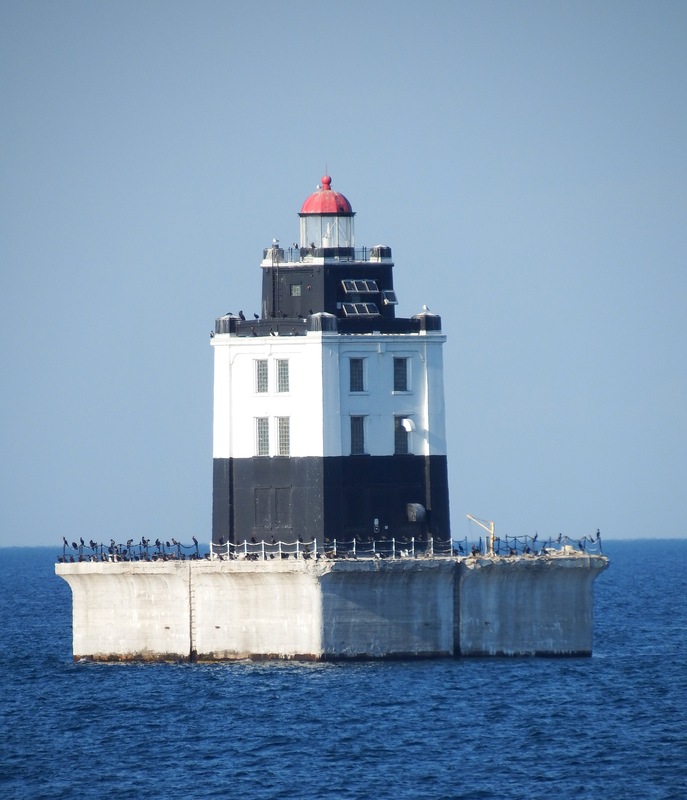 Also, here’s a great Great Lakes search site. The next day in the vicinity of Detroit, she ran into this huge unit. 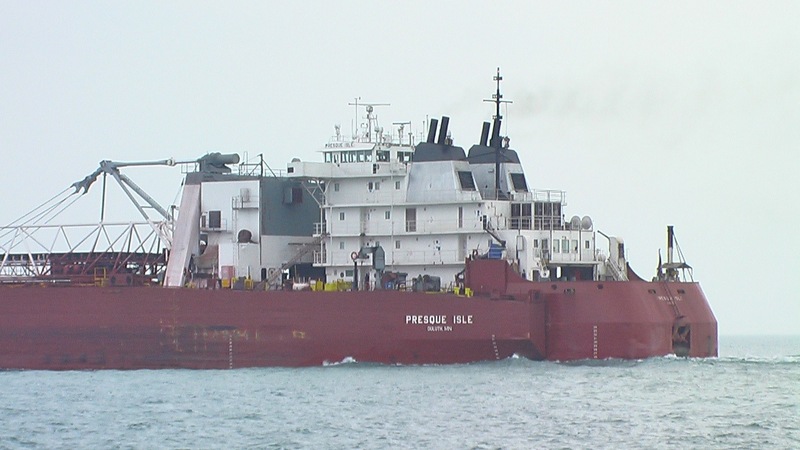 ITB Presque Isle, launched 1972, loa 148′ with a 31′ draft . 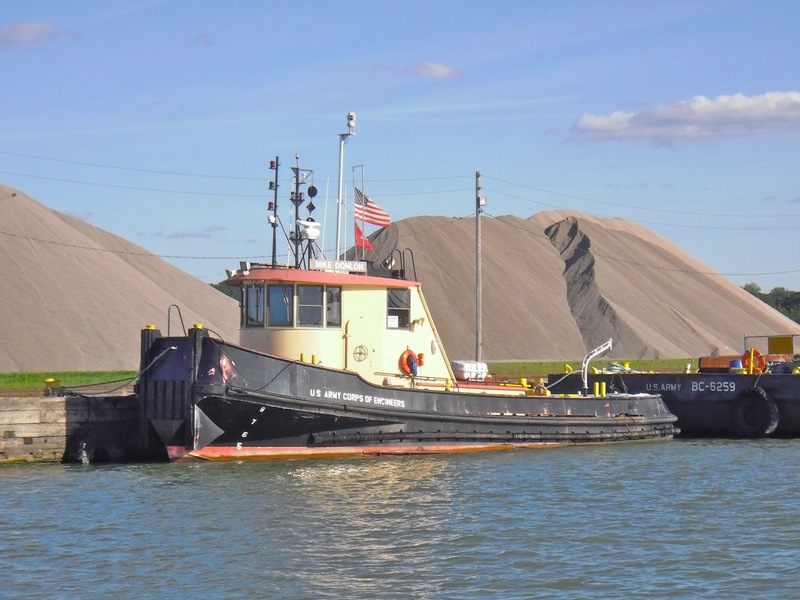 . . uses 14,840 hp to move a 978′ barge by the same name. Here’s St Mary’s Cement II pushed by Sea Eagle II, 1979 launched at Modern Marine Power although also Candian-flagged, I think. That’s the Detroit skyline in the distance. 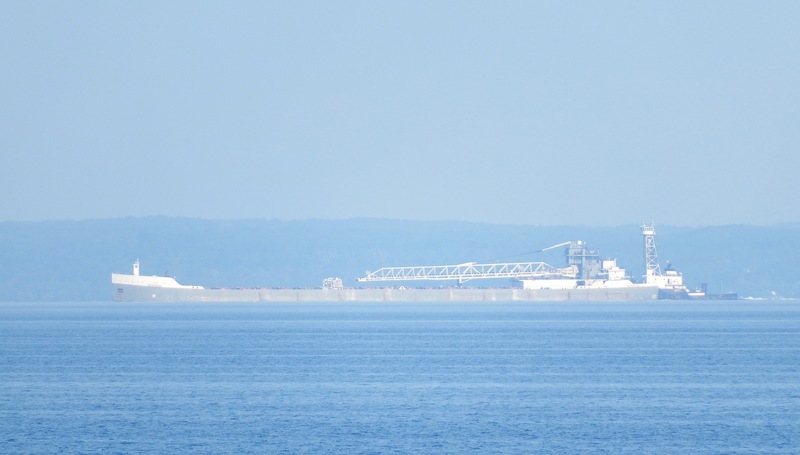 On September 6, she passed Invincible, 94′ loa and 1979-built in Fort George, FL. She also passed this unidentified unit. Anyone help? 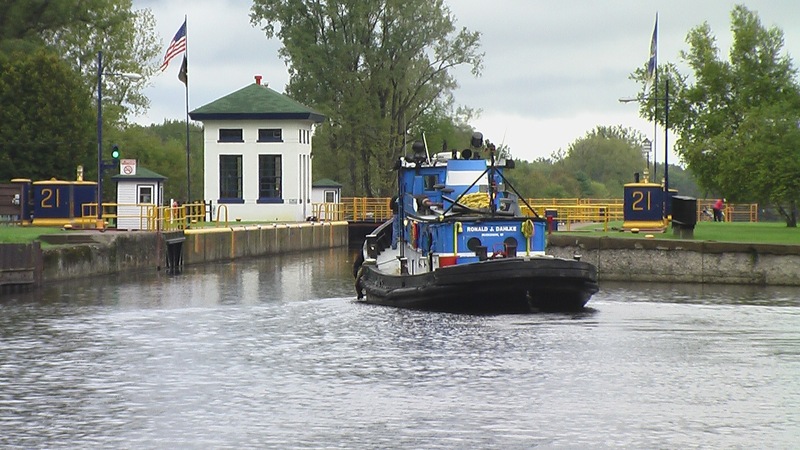 Last one for now, on September 16, already in the western end of the Erie Canal, she ran into this vessel. Guess her age? Dahlke was built in Ferrysburg, MI in 1903!! That puts her only two years younger than Urger, built there as well. Here’s quite the Ferrysburg historic vessel page. Ah . . . the Great Lakes . . . 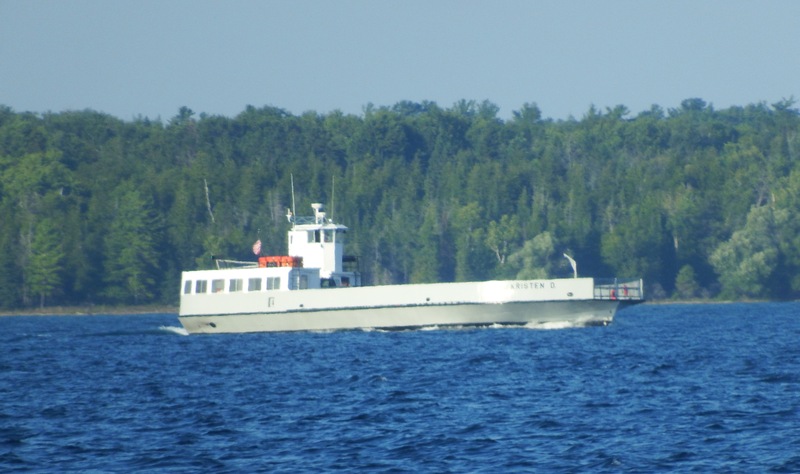 Anyone interested in a summer project to cruise from the sixth boro to Duluth and back and forth to catch more of these eclectic vessels? And if you’re interested in following my sister, click here.